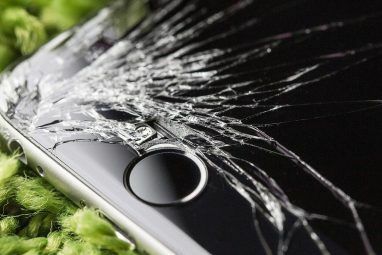 Want to repair a scratched smartphone screen The Ultimate Guide: How To Protect Your Smartphone From Scratches The Ultimate Guide: How To Protect Your Smartphone From Scratches Modern smartphones and tablets have big, beautiful displays. They look great when they come out of the box but they leave a device more vulnerable to both major and minor damage. A drop can shatter... Read More ? Some articles online recommend using sandpaper, Turtle Wax, toothpaste, baking soda, or even vegetable oil. Don’t fall for these insane tips — there’s only one way to actually fix your problem. These crazy-looking tips will just damage your screen even more. These tips are all from Daniel Johnson over at The Telegraph. Articles like this one are written by authors who didn’t actually try these tips on their own devices. They don’t understand how these methods actually work — if they did, they wouldn’t spread bad information. First, there’s one good tip here. 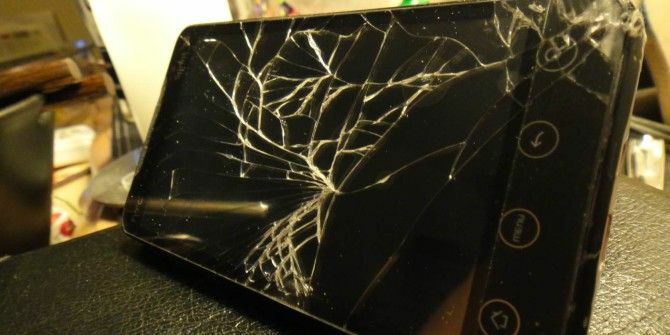 If your screen is damaged, you can fix it by replacing the display. Your manufacturer may do this for you if your device is still under warranty AppleCare Warranty: What Are Your Options and Is It Worth It? AppleCare Warranty: What Are Your Options and Is It Worth It? AppleCare+ protects your Apple device, but is it worth the cost? Here's what AppleCare+ offers and whether you should get it. Read More . If it’s not under warranty, you can try replacing the screen yourself. You’ll need to buy a new touchscreen display for your device, take your device apart, and install the new display. This will be easier on some devices than on others, so whether it’s worth it is up to you. Bear in mind that you could damage your phone or tablet by performing this repair. We’ve previously covered replacing a damaged touch-screen display on your own The Guide To Replacing a Damaged Mobile Phone Display The Guide To Replacing a Damaged Mobile Phone Display If you have damaged the screen of your mobile phone – perhaps you dropped it or sat down while the device was in your pocket – you’ve immediately given yourself a headache. Can the phone... Read More . We’ll start with the most obviously crazy tip. What exactly does sandpaper do? It grinds against a surface, removing material. For example, you might use sandpaper to remove a layer of old paint from furniture. If you used sandpaper to erase a scratch on a wooden chair, it would erase the scratch by sanding down all the material around the scratch until everything else is level with the scratch. So, if your screen has a scratch and you start sandpapering it, you’re not fixing your screen. You’re really just scratching your entire display. Even if you use super-fine sandpaper, you’re removing an important layer of coating. You’re better off living with a few scratches than scratching the entire surface of your screen. The author correctly notes that using Turtle Wax will remove the oleophobic coating on modern touchscreen devices. Oleophobic coating is an oil-repellent coating that repels the oils on your fingers and helps reduce unsightly smudges. Removing the coating means your phone will pick up more oil and smudges. So, how do Turtle Wax and other “scratch repair kits” designed for cars work? Most of these scratch repair kits are intended for metal and paint problems, not even the glass windshields or windows on a car! Turtle Wax does offer an “intensive cream glass polish” product that “uses ultra-fine particles to remove ingrained dirt, light scratches, and wiper haze from windscreens.” In other words, Turtle Wax and similar products work by removing the top layer of your phone’s touchscreen display. This is basically just like using sandpaper. In other words, you’re sanding down the bottom surface of the CD. This results in a flat surface, so the laser beam will be able to read the damaged CD. This may work on CDs. 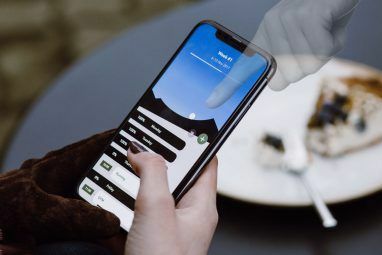 But, if you do this on a smartphone display, you might as well be using Turtle Wax or sandpaper. It’s a bad idea for the same reason. This ridiculous article also recommends mixing baking soda and water and rubbing the paste on your screen. You’ve probably guessed why this is a bad idea by now — baking soda is abrasive, so you’re just sanding down your screen again. This is the most bizarre tip here. It’s basically a little chemistry project — you need an egg white, aluminum foil, and alum. You combine the egg white with the alum in a saucepan on your stove, cook it, soak a microfiber cloth in it, wrap that cloth in aluminum foil, and bake it in the oven. You then rinse the cloth and bake it a few more times. If this sounds insane to you, you’re not alone. We’re not chemists here, so we’re not really sure what is going on. The author grabbed this method from a Yahoo Voices article. No website online explains why this method is supposed to work. This isn’t a magic spell, so at best it will just work like all the other methods and sand down your smartphone’s screen. At worst, it could cause even more problems. This tip is just silly. The author notes that “this really is a temporary and a cosmetic fix.” The idea is that you apply a small drop of vegetable oil to your screen. The oil will fill in the scratch and makes it less visible. But the vegetable oil will leave the cracks on your phone when you put your phone in your pocket or just swipe your finger over it. You’ll end up with vegetable oil on your hands, in your pocket, and over the surface of your display. Now you have two problems. We’re not sure why anyone would ever do this. Someone might try applying oil to their scratched smartphone before attempting to sell it Thinking of Buying a Used Smartphone? 6 Things To Consider Thinking of Buying a Used Smartphone? 6 Things To Consider Don't want to be stuck with a long-term carrier contract or simply can't afford to fork out the full price of a brand new smartphone? Whatever your reasons, the following are a few things that... Read More so the buyer wouldn’t notice the scratch, but the buyer might just ask why there’s oil all over the phone’s screen. 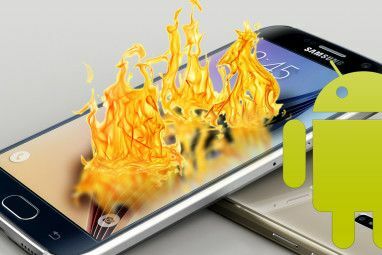 It’s never a good idea to sand down your smartphone or tablet’s display. Even if you had amazingly fine sandpaper and you did a perfect job, you’d be removing an important layer of coating on top of your smartphone’s display. In the real world, you won’t have perfectly fine sandpaper so you’ll end up with more small scratches all over your screen. You might not be able to notice them, but your display might appear a bit cloudier — those are the scratches. We hope none of The Telegraph’s readers actually took these tips seriously. Seems to me the author only contradicts anything that's been all over the internet on this matter. He does that simply out of personal assumption without providing any evidence. I have been rubbing my tablet with toothpaste just hours ago for 20 minutes and as I cleaned it off I can notice those scratches getting less visible, I will try again tomorrow to see if they disappear completely. Not bad as a first try, not enough to say it will fix it, but still it smoothens it up. My iPad mini had s a badly scratched screen and would not let me type messages and went crazy mental skipping form one site to the other.wondered if was the cracks or iPad was totally stuffed. Rubbed candle wax over the screen then rubbed off excess with soft cloth .hey presto ...works perfectly...at least I know now it is the screen not a more serious problem...so new screen,not new iPad.? Here you go people... Because it's not possible to fix a scratched screen. Thanks for the link proving this article wrong. What's amazing is that the XDA-developers' post you linked was written in 2010 -- 4 years before this ignorant article was written. What an ignorant article. The writer faults the Telegraph author for never have tried methods he listed. But it's also clear that he hasn't either before discarding them as nonsense. Most absurd is that he just repeats the same complaint over and over -- that an oleophobic layer has been removed. Yet he never explains why attracting oil is such a catastrophe. Frankly,I would rather have oils that I can wipe off than than scratches than can distract my reading. Perhaps worse off all is the writer's inability to do a little thinking. There's a simple solution to protect the screen from oils AND prevent the vegetable oil from getting off the screen. Use a screen protector. You can get them for about $1 on eBay. Most of them have an oleophobic coating, and they'll certainly prevent any applied oil from rubbing off into surrounding surfaces. Finally, the author is apparently just flat out wrong. Thanks to You Fail's above post, we have an xda-developer's actual experience buffing out scratches. It works and there are photos to prove it. Thankfully, some people are willing to actually try things out before promoting OR DISMISSING them out of hand. That, to me, is good science and good journalism. How about the banana thing? I used toothpaste before on an ipad and it worked nicely,used it for some time after that. I found online kits that sell Oleophobic coating, that could overcome drawbacks mentioned above. Yes, you would never believe what people will do to fix their iPhone. The best way to protect your phone is to have a great case that covers the front. I've had the book book case for 2 years now and had 1 freak accident. Besides that, i've had the same phone since the 4s came out. Wonderful Article. Keep them coming. If a person who has done these things can post his/her experiences, it would be more interesting. what about superglue like you can use to fix car windscreens? All you have to do is find a material with the same (or near enough) refractive index as the polymer used in the screen and when the cracks are filled they'll be much less visible. Although the touchscreen part will obviously not be like new again. The use of toothpaste/brasso/etc to clean up vintage watch cystals is fairly common, which is probably where a lot of these ideas come from. Dumb and gullible is someone who believes this article without doing some actual research. As You Fail's post shows, buffing out scratches is possible. Just follow the link s/he listed to see proof.